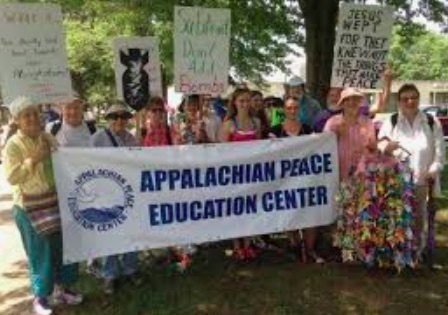 In 1982, APEC opened an office in Abingdon, Virginia, representing small peace groups in coalfield and agricultural communities such as Big Stone Gap, St. Charles, and Dungannan and Bristol. First focusing on education around nuclear disarmament, military spending, and cold war politics, the organization grew to oppose U.S. government’s intervention in Central America, and became involved in labor rights, conflict resolution, race relations, and opposition to U.S.-sponsored wars and military presence around the globe. APEC members demonstrated publicly for years against the U.S. initiating and conducting war in Iraq. APEC continues its work for peace and justice today, welcoming new peacemakers in the era of President Trump. 12:30 pm: “People Like Us: Building Allies for Justice” led by Jerry Hill. Charles Wesley UMC, 322 East Main St.
2:00 pm: Martin Luther King, Jr. Celebration – Abingdon UMC, 101 East Main Street. On Wednesday, 6th March 2019, Cameroon Peace Foundation Association, in collaboration with the Global Campaign for Peace Education, launched a National Campaign for Peace Education in Buea. The Campaign brought together religious leaders, lecturers, teachers and police officers. The purpose of the campaign is to create awareness about the need to introduce peace in Cameroon schools. With Cameroon facing a very critical moment in its history, when everything has failed to bring back the peace that is desired and cherished, Cameroon needs to review its educational system. Peace education is a timely intervention and the best weapon to fight against terrorism and violence. “Peace education is education for human dignity, and is capable of dismantling a culture of war that is pervading Cameroonian society,” said Mforndip Ben Oru, the coordinator of the Cameroon Peace Foundation. At the close of the launching, it was agreed that peace education is the pathway to a culture of peace. The next stop for the Campaign will be in Bamenda in the North West Region of Cameroon. The Campaign intends to visit all 10 regions of Cameroon. This documentary, first shown on PBS’s POV, describes a New England family’s discovery of their ancestors’ slave-trading past and how their present white privilege was gained generations ago.​ Event sponsored by St. Thomas Episcopal Church. 1:30 pm – March – Gather on MLK Blvd.